The Warp Pipe is one of the main modes of transportation of Mushroom World. Generally speaking, a Warp Pipe is a pipe that doesn't always appear to be connected to a second pipe physically, although traveling through it will transport the traveler to the other end. In many cases, Warp Pipes can be used to cross great distances (and even worlds) instantly, while some pipes can't even transport anything. The size of Warp Pipes can vary greatly. While some are too narrow for a human to enter, others are large enough for Bowser's airship to travel through. They are traditionally green, but have appeared in many colors in lesser numbers over the years. Red pipes usually lead to secret zones. 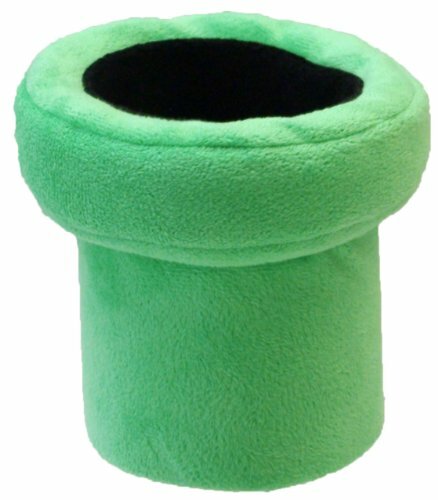 The Warp Pipe is a common method of transportation used in many of the games in the Mario series. Warp Pipes are most often green but also appear in other colors, and have many uses in the series. Along with providing transport to different areas within games, Warp Pipes can also contain enemies, usually Piranha Plants, and launch the player into the air. 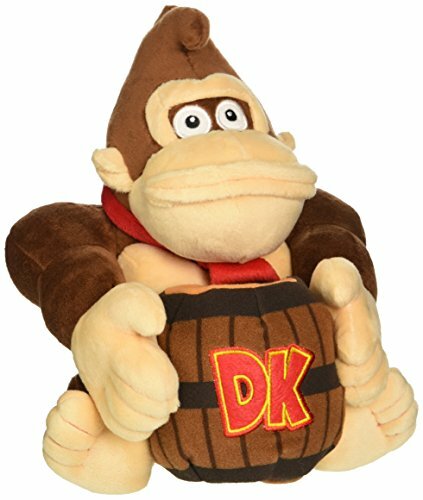 They are also featured as items in some of the Mario Party games, allowing players to swap places or be moved around the board.The Warp Pipe first appeared in Mario Bros.
Little Buddy Mario Warp Pipe Plush, 9"
Little Buddy Super Mario Bros. Donkey Kong Holding Barrel Stuffed Plush, 8"
Donkey Kong, also known as DK or D. Kong, is a powerful hero Kong from Donkey Kong Island. He is a carefree ape who spends his days collecting Bananas and spends time with his friends, particularly his buddy Diddy Kong. However, when trouble arises, Donkey Kong jumps headfirst into the action to help his friends and protect his island. Cranky Kong was the original Donkey Kong, but he relinquished the name to his replacement sometime before the events of Donkey Kong Country. 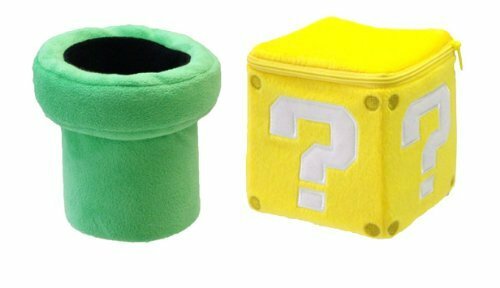 Little Buddy Super Mario Bros. Luigi Holding Coin Block Stuffed Plush, 10"
Luigi is Mario's younger, taller twin brother. Luigi has assisted and fought alongside his brother on many occasions. Throughout his life, he has lived in Mario's shadow, developing both cowardly and heroic tendencies. Mario Bros. marks his first appearance in a Super Mario arcade game. Originally a color swap of Mario, Luigi was created to facilitate a second player option. Since the two player mode was dropped from most Super Mario games beginning with Super Mario Land, Luigi had gained his own identity and personality. 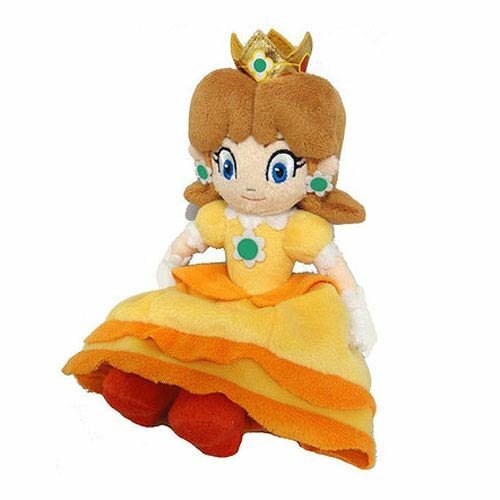 This Super Mario Daisy plush toy is an official, licensed product made by Little Buddy. 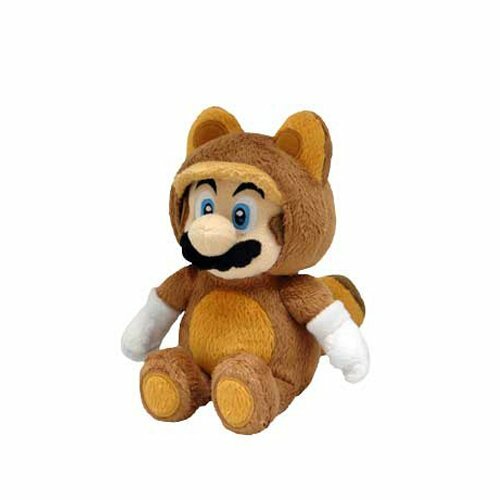 Little Buddy Super Mario plush toys are high-quality, well-made, and safe products. This item measures approximately 7 inches along the longest dimension. The EAN for this product is 819996012672. 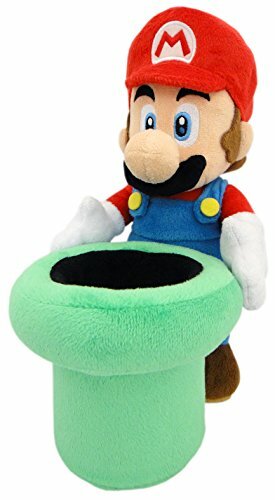 The Warp Pipe is a common method of transportation used in many of the games in the Mario series. Warp Pipes are most often green but also appear in other colors, and have many uses in the series. Along with providing transport to different areas within games, Warp Pipes can also contain enemies, usually Piranha Plants, and launch the player into the air. They are also featured as items in some of the Mario Party games, allowing players to swap places or be moved around the board.The Warp Pipe first appeared in Mario Bros. Item blocks originated from the game Super Mario Bros. In that game and many of its sequels, such blocks contain either coins or power-ups, which aid the player's progress. 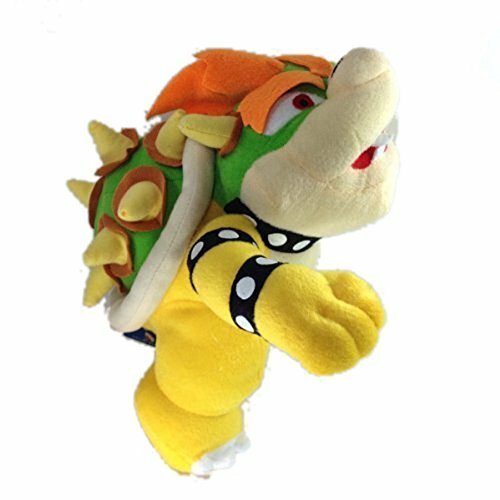 Description: Standing Nintendo Super Mario Bros 10" King Bowser Koopa Plush Doll Toy Game Description Character Name: Standing Bowser Koopa Quantity: 1 Plush toy Material: High quality plush Item Size: Approximate 10 inches (height) Package contents: 1x Mario Koopa Plush 10" Please Note: 1.TinTek® is a registered trademark in U.S.A. 2.We offer products at the lowest prices, welcome to TinTek Store and get whatever you want. Mario is sick and tired of walking up three stories to get to his apartment, so he thinks he has a solution to his problem! 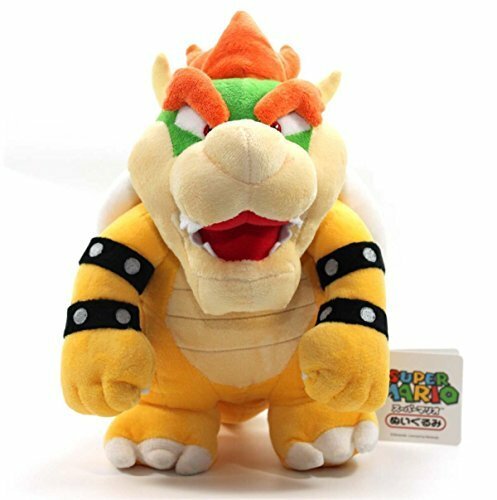 Compare prices on Super Mario Plush Pipe at ShoppinGent.com – use promo codes and coupons for best offers and deals. Start smart buying with ShoppinGent.com right now and choose your golden price on every purchase.